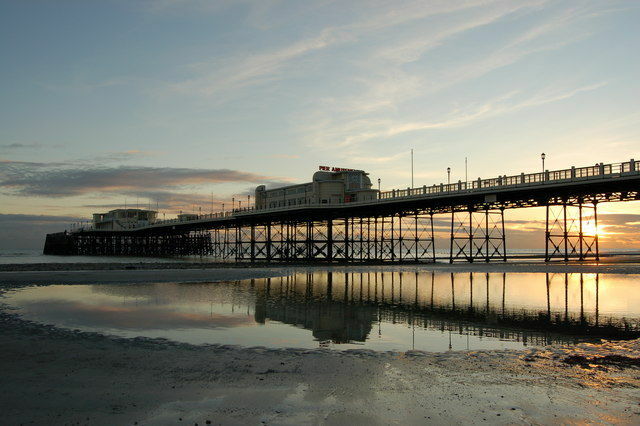 Worthing is definitely on the map as a destination if one wants to escape to the coast. With Brighton and Hove’s prices amongst some of the highest in the area its neighbour Worthing carries with it a growing following of young families that still want to enjoy a vibrant lifestyle without the expense of the city. Well, Worthing pier was most certainly a worthy winner of 2019’s Pier of the Year award. The art deco masterpiece which was first opened in 1862 just won the award for the second time and the town has already set its sights on a hat trick. Wonderful Worthing however is most certainly putting itself on the map in so many ways and it seems to be rejuvenating by the second. Business investment has most certainly been on the rise in Worthing in recent years with growth in creative, digital and IT sectors within this charming seaside town. Worthing is also home to major household names like GlaxoSmithKline who in recent years invested £100 million in the town. This is, in turn, fuelling investment in the cultural heart of Worthing as its renaissance continues with plans to transform Worthing’s Museum and Art Gallery as well as the growth of Colonnade House which has provided affordable workspaces for creative entrepreneurs and brought a real bohemian buzz to the town. The beautiful unspoiled beach is a definite plus to add to the award-winning pier, but it is not just for deck chairs anymore as more adrenalin fuelled activities are becoming ever more popular from kite surfing to paddle boarding. Imagine popping down to the beach with your paddle board after work, you’ll feel like every day is a holiday. As you stumble off the beach the lively seafront will welcome you with a choice of bars with a relaxed and cool vibe for a tipple in the sun. With eateries aplenty including the family-owned Crabshack named recently in the Guardian’s top ten best beach restaurants in Europe you can be sure of something a little bit some special than traditional seaside Fish and Chips. Nestling in the foot of the South Downs National Park Worthing undoubtedly ensures that you can enjoy a wealth of activities outside your front door with ease. Cissbury Ring is just one of the many stunning locations to take a stroll. There is fruit picking galore in season, farm shops full of local produce and an endless array of country pubs for a pint or two. Under 90 minutes to central London, 18 minutes to Brighton and 30 minutes to the pretty town of Chichester by train you will find that Worthing is well connected for work and play. You can even go a little further west and pop down the road to Portsmouth for a piece of shopping heaven at Gunwharf Quays however don’t think that Worthing hasn’t got your shopping needs covered as it enjoys a wide range of shops from T.K. Maxx to a growth of lovely independent shops reflecting the changing vibe of the town. So, if you’re looking to move to Worthing and want some advice on the best areas to rent or buy in, then please contact Nick Williams and the team at our Shoreham branch on 01273 661577 or email us at shoreham@oakleyproperty. We look forward to welcoming you to Worthing!